Since Google Maps began in 2005, there has been a push to map our dynamic world to increasingly granular levels of detail using advanced technologies. With features that extend beyond turn-by-turn directions such as real-time traffic conditions and local business advertisements, we’ve come to take for granted what our modern navigation systems provide. However, this was not always the case. The traditional roadmap, for instance, requires a human navigator as a “stand-in” for the modern GPS systems. As the technology advanced, we're reaching a wealth of data that has been offered in our modern mapping platforms. This access hasn’t just helped the individual user. Mapping technologies have spawned multi-million dollar businesses across multiple industries, like transportation (Uber, Lyft), real estate (Redfin, Zillow), and hotels (AirBnB, Verbo). These companies apply the data to their product and services in revolutionary ways, all with the end goal of an improved customer experience. Due in part to the efficiency of modern navigation, customers have come to expect a simple, efficient retail experience. Apply the same, highly detailed mapping technologies to a store environment, and you’ll achieve just that. Imagine this – a customer loads their shopping list into an app. The app processes the list and comes back and notes that four items on the list are out-of-stock. After offering alternative recommendations, the app then offers an optimized path around the store to pick up the items. If anything changes or a pickup order is ready while en route to the store, the app sends a notification directly to the customer's car, offering a re-calibrated shopping path as necessary. Expanding IoT from the home, to the car, to the store has the potential to make a shopping trip a seamless, easy part of the customer’s everyday routine. This isn’t wishful thinking; it’s happening right now. Through technology like Bossa Nova, we can map every store, every product, every day. First, we map the store’s floor plan and aisles. Next, we identify the fixture layout, followed by the label locations (where product labels are on the shelf) and product facings (what the product packaging looks like on the shelf). 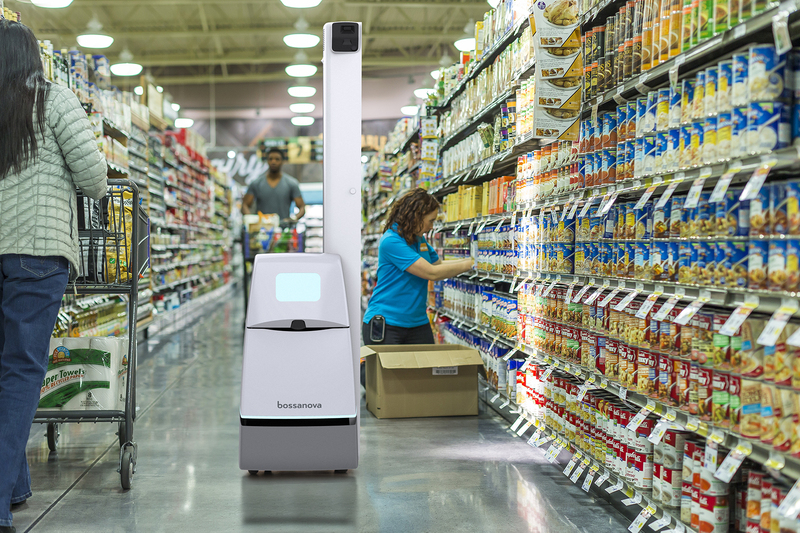 From there, our AI and computer vision technology recognize several key data points: out-of-stocks, product facings, misplaced items, product labels, barcodes and prices, and much more. This data is then converted into task-oriented action messages so associates can remedy the issue as soon as it is detected. As we map an individual store, we create a realogram of on-shelf conditions. Combining the features of 2D planograms (e.g. floor layout) and 3D fixture construction (e.g. shelf height and depth), the realogram maps exact product location and number of facings. This data provides context to even suppliers when evaluating product sales performance, allowing them to consider adjusting the number of facings, shelf position, and adjacencies. Ultimately, realograms make it possible to plan an individual store based on its precise individual layout – a revolutionary way to operationalize a store and manage inventory made possible by modern mapping technologies. Just like the transportation, real estate, and hotel industries before, we can’t wait to see how the retail industry applies this wealth of data to improve store operations and ultimately the customer experience.